Do you need a logo? Is a logo important for your startup business? When starting up a new business it can be a really exciting, but stressful time. Sorting out and arranging things like office space, retail premises, furniture, insurance, stock, staff, and bank loans and so on. The list can be hugely daunting. Now add getting a logo into that mix and your head might just explode. But do you really need a logo? I’ve worked with hundreds of clients creating logos for their businesses, so in answer to that question you would probably expect me to say “of course you need a logo!” It may surprise you though to hear me say that it isn’t always necessary, or suitable to have a logo when you start up your business. So why don’t I need a logo? Let’s take a look at Steve who is an imaginary client for the purpose of this blog. Steve wants to start up a bicycle repair service for his local area as he feels it is under-catered for. I’d argue that rather than spending time and effort on getting a logo designed at this early stage of his business, Steve should be putting his resources into raising awareness of his service and running his business the best he can. The job of a logo is to connect people to Steve’s brand. The logo triggers emotions that bring up how they will feel about Steve’s service. But if his business is new, then there really isn’t anything for them to associate with it. It will take Steve time to build up his brand reputation and for people to get to know his service. Not even for marketing materials? Steve doesn’t need a logo to put together some business cards and a well-designed leaflet or flyer. Yes, having a logo can help with choosing a colour palette, or influencing the layout a little, but you definitely don’t need one to create something that looks great. You can easily choose a nice looking font to write out your business name in. One that fits the personality and style that you want to go for, along with a colour that also fits. I’ve had clients worry that by not having a logo their business would look unprofessional. This is nonsense. There are thousands of examples of business out there who have logos who’s branding is terrible. Badly designed marketing materials, poor website copy and customer service are just a few examples. Having a logo does not make your brand better than someone else’s. Your brand is more than just your logo. The logo is simply the tip of a brand iceberg. It is the foundational part of that iceberg that sits below the waterline, out of view that you need be concerned with. You want to build strong foundations on customer service and experience, great marketing, and personality. You also need to have a strong why, aims and objectives. Once you have these in place, they are what the logo will connect people to. 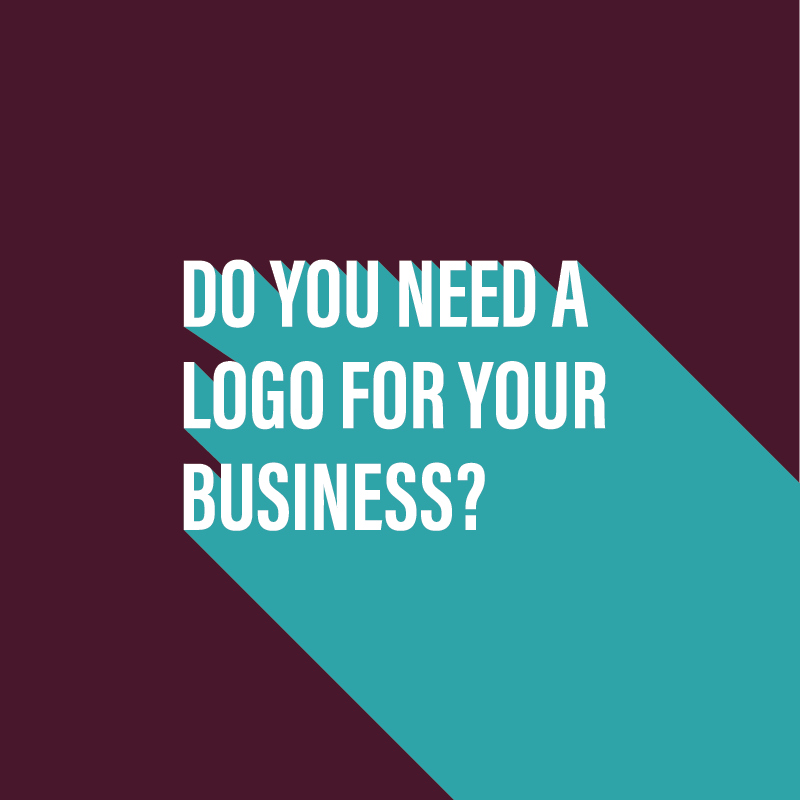 When do you need a logo? So let’s get back to Steve. Should he have a logo designed for his start-up business? In Steve’s case, I would say that he doesn’t need a logo at this early stage of his business. Once he’s been up and running for a couple of years, he will have a better understanding of his best customers and what their needs are. At that point, he will have enough background data on his customers and his business that can be used to create a logo that suits his brand. One that his customers will recognise and be loyal to, and something that he can now use as part of a brand awareness campaign in his marketing. Steve is just one example of a startup business. There are other instances where a logo may very well be required and suitable. It all comes down to specific circumstances and the needs of the business owner and how much they have carried out research into the area of business they want to move into. The key thing is to speak to a professional designer before you go ahead and spend money on getting a logo. They will help to guide you down the path that is right for you, hopefully saving you any more pain and expense in the startup process. Did you have a logo professionally designed when you started your business?